Traveling by motorcycle is a natural fit for us – Miles has been riding for 30 years and Tracey dabbled in dirt bikes as a teen. Both committed Honda motorcycle fans for many years, we were introduced to the charms of the Ural when we met two intrepid motorcycle travelers in 2010. Lois Pryce (www.loisontheloose.com) and Austin Vince (www.mondoenduro.com) shared their story of traveling across the U.S. in a Russian sidecar rig, “An Ural is the way to go for a couple traveling together.” Coming from two of our most admired motorcycle adventurers, this message held a lot of weight. Three days later, a new Ural was parked in our garage. Miles bravely drove it 300 km home from the dealership in a snowstorm. The fact that it passed this test was yet another gold star on Ural’s report card. The fabulous service we have received from Destination Cycles in Airdrie has earned two gold stars (www.destinationcycles.com). Our Ural has now been our trusted method of transport through 20 countries as well as countless adventures at home in Canada. Super-comfy chair with loads of legroom. Driving a sidecar outfit is not like riding a motorcycle, nor is it like driving a car. It is an entirely new challenge and extremely fun, eventually. The UDF (Ural Delay Factor) which causes us to slow down our pace and chat with the endless stream of interesting people who approach us to ask about our unusual transportation. You drive a sidecar outfit rather than ride it. The sidecar itself is known as the chair. The entire machine is known as the rig or hack. 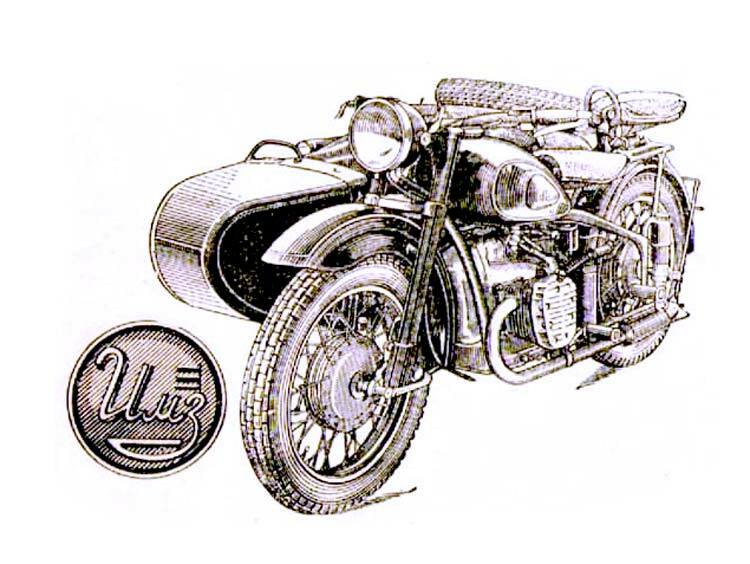 The Ural story begins in 1939, during the USSR’s pre-World War II planning. The Soviet Union knew it would soon be going to war against Adolf Hitler, the ruthless dictator of the German Third Reich. Joseph Stalin ordered the military to prepare all areas of operation, including the ground forces that would defend the Russian motherland. A meeting was held at the USSR Defense Ministry to discuss what motorcycle model was most suitable for the Red Army. The official version reads that, after long discussion and debate, it was decided that the BMW R71 motorcycle most closely matched the Red Army’s requirements. Five units were covertly purchased and dismantled by Soviet engineers. They copied every detail of the BMW design and made moulds and dies to produce their own engines and gearboxes in Moscow. Everything about the bike was reverse engineered. Early in 1941, the first trial samples of M-72 motorcycles were shown to Stalin, who immediately approved production of the motorcycles. A more likely story is that the BMW factory supplied the construction drawings and casting moulds. As a result of the Molotov / Ribbentrop Pact, transfers of technology had taken place in support of their Soviet “friends” in different areas. In 1941, BMW began series production of R75, and did not resume production of R71. Supplying the Soviets with the superseded R71 model may have seemed a good idea at the time. The history of Ural began with the glory of helping to defeat the terror of Hitler’s armies on the Russian and European battlefields. After World War II, the Factory was renovated, and in 1950, the 30,000th motorcycle was produced. In the late 1950s, a plant in the Ukraine took over the manufacture of Urals for military use, and the Irbit Motorcycle Works (IMZ) began to build Urals for domestic, civilian consumption. The popularity of the outfits grew steadily among Russians, and in the 1960s, the plant was turned over to full non-military production. Thanks Paul. I’m sure it will be a fantastic journey.